If you are new to this website, please read this entire page, as it should answer most of your questions on how to create your profile and password, update your personal information, and how to use this website. Your Administrator and Privacy: This website is maintained by your classmate administrator, Vicky Folmar (Czajka) - Class of '72. You have the option of password protecting your personal profile which blocks the general public and search engines from accessing your profile details. Once you create a profile, you will also be able to see the profiles of your fellow classmates and interact with them. Each profile will have a senior picture from the yearbook. 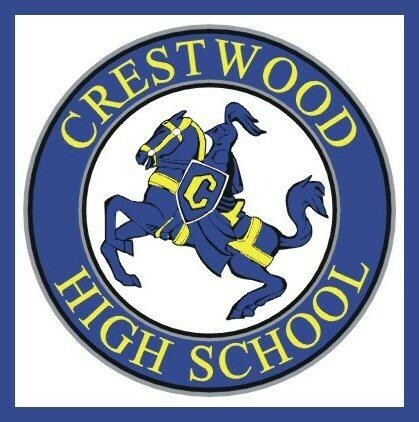 Crestwood Alumni and Faculty: This site is set up for the classes of 1966 thru 2010. Crestwood High Teachers/Faculty are also welcome. If your name is missing, please email me (Contact Us) with your name and class year and/or Teacher/Faculty so that I may create a blank Profile for you. Please Help: Our new domain name crestwoodreunion.com is now our permanent home. Please bookmark the Home Page and pass this link on to anyone who has not joined yet. We need all the help we can get in spreading the word about our new home. Please take a few minutes to browse the Missing Classmates list; you may know the whereabouts of someone on it. If you know a classmate's email address, all you have to do is click on their Profile, paste their email address in and hit Send. An invitation to the site will automatically be composed and sent. Only registered users will be permitted to view password protected sections of this site and post on the message board. Creating or Updating your Profile: You will need to update or create your individual profile in order to access any password protected pages on the site. Start by clicking on the Classmate Profiles link. This will take you to a page with all the classmate names, including yours. Find your name and click on it. Follow the prompts to create your profile. The password that you enter during this process will be used as your login password. You can personalize your page with information such as what have you been up to since graduation, school memories, your family, and photos. If you can not find your name on the Classmate Profiles page, please contact me to have your name added. We welcome classmates who went to school with us but did not graduate with us. If you feel more associated with this class than your own, we can provide you with a guest account. Use the Contact Us link for login info. If you change your email address, mailing address, or phone number, please update those details in your profile. We would like to keep our database as current as possible. Forgot Password and Retrieval: If you click "Remember Me" when you log in, you will not need to log in next time you go to the site. Please Note: there is a password retrieval feature to click on: "Forgot Password?" in case you need to log in sometime and can't remember your password; the password will be sent to your email inbox. You can login from computers other than your home computer but you will need to enter your password. Married couples who share the same email address: One of you will need to create a unique email address to distinguish between individual profile messages sent to you. Click the SAVE CHANGES button. Now go to your Profile page and look for your picture and caption. ​If you have any questions, please feel free to contact me (Contact Us) or email me via my Profile. Please take the time to explore the options available to you. I hope you all enjoy this new format.